Ioannis Kapodistrias was born in 1776 in Corfu, where he was raised in an aristocratic milieu. Corfu, under Venetian rule for four centuries (1386-1797), presented many of the characteristics of Western European cities: established bourgeoisie, complex but demarcated social stratification, organized administrative and local government institutions, feudal gentry, developed commerce, etc. Nonetheless, it also presented, at the same time, key elements of Greekness: a dominant majority of the Greek population and the common use of the Greek language as the vernacular, along with the dominant presence of the Orthodox faith with free worship, etc. 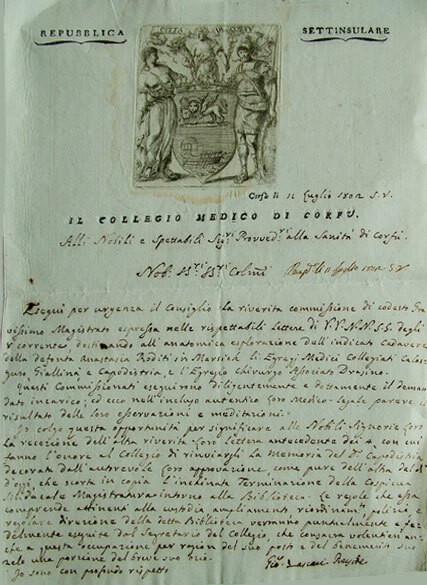 Following the ways of young nobles of his era, Kapodistrias left Corfu to study Medicine in Padua, Italy (1794-1797). After the end of his studies, he returned to his hometown, where he worked as a physician. 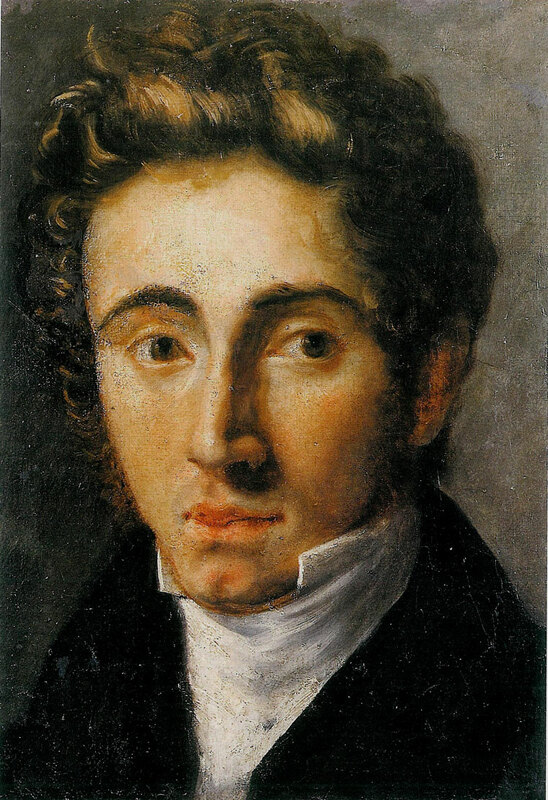 The return of Ioannis Kapodisitrias from Italy (July 1797) coincided with the end of Venetian rule in Corfu and the advent to the island of the Democratic French, who attempted to bring forward a radical change of the social structures. French policies, which were opposed primarily by the aristocracy, came to an end before managing to affect Corfiot society in depth. 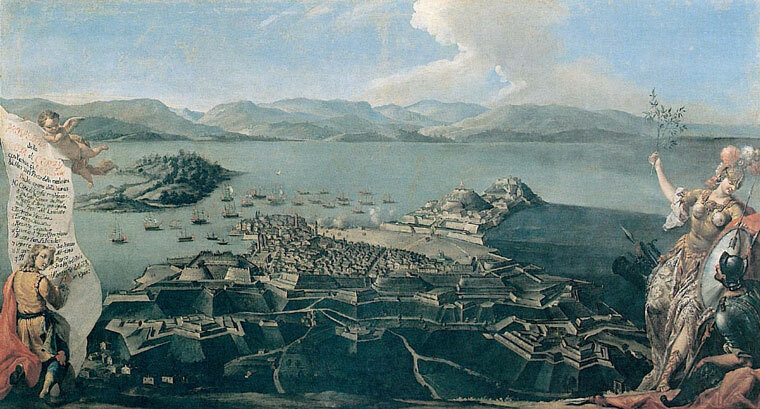 In 1799, after the four-month siege of Corfu by the Russian-Turkish navy, the French left. In 1800, the Septinsular Republic was founded, the first modern Greek state construct, mainly, under the Russians’ control. Thus, conservative circles came once again to the forefront. It was then that the involvement of Ioannis Kapodistrias with active politics began. Ioannis Kapodistrias, the sixth of the total eight children of count Antonios-Maria Kapodistrias and the noble Adamantine Gonemis, was raised in a strictly patriarchal and religious environment that defined, to a great extent, his beliefs. He deeply respected his father, notable jurist and powerful political personality of that period, exponent of the most conservative part of Corfu’s nobility. Antonomarias, who had already built close relations with the Russians, was set as one of the two representatives of the Ionian Islands and attended the negotiations in Istanbul (1799-1800) between the Sublime Porte and Russia that resulted in the foundation of the constitutional state of the “Septinsular Republic”. With the establishment of the Russian-Turkish troops in Corfu, in April 1799, I. Kapodistrias was appointed as manager of the military Ottoman hospital. Moreover, he played a leading part, as general Secretary, in the foundation of the “National Medical Association” (1802), where scientific speeches were delivered, and of the “Literary Society of the Friends”, where literary lectures were delivered. In the summer of 1801, I. Kapodistrias, standing in for his father, went to Kefalonia to implement the Constitution. Ioannis Kapodistrias was just twenty-five years old when he succeeded in imposing order, as well as in organizing and establishing the new legal administration. In April 1803, I. Kapodistrias was unanimously appointed by the newly elected Senate as Secretary of State on Foreign, Naval and Commercial Affairs of the Septinsular Republic. Realizing the lack of specialized and appropriate personnel for the administration, he proposed the creation of a school of “civil servants’ training”, aimed at providing a thorough knowledge of the Greek language and of “the duties of the man and the citizen”. In fact, he suggested teaching himself, on a voluntary basis, the lesson of “aesthetics of judgment and thought”. There was a delay in the application of the decision due to lack of finance. During the period 1804-1806, I. Kapodistrias, as Education Inspector, established and organized the Public School, took care of the reopening of the Public Library, the supervision of which he personally took over, while at the same time instigating the foundation of 40 elementary schools in all the Ionian Islands. In June 1807, I. Kapodistrias was appointed (by the Senate) as a special commissioner in Lefkada and coordinator of the military operations in the area, which was under attack by the army of Ali Pasha. He organized the defense of the island and came, for the first time, into contact with the Greek warlords – among others, Botsari and Kolokotroni – by whom he was really impressed. However, in September, he returned to Corfu, since with the Treaty of Tilsit (8 July 1807), the Ionian Islands were to be handed over to the French Empire. Already from December 1803, as Secretary of State, I. Kapodistrias closely collaborated with the Russian plenipotentiary Count Georgios Motsenigos for the formation of a new Constitution. Regarding this particular Constitution, Kapodistrias himself believed that, despite its defects, it gave the citizens of the Ionian Islands the potentials for administrative autonomy and education; these were elements he thought of as essential for the further development of the state. On 15 March 1804, the Tsar of Russia Alexander I awarded I. Kapodistrias the degree of the member of the College Board. 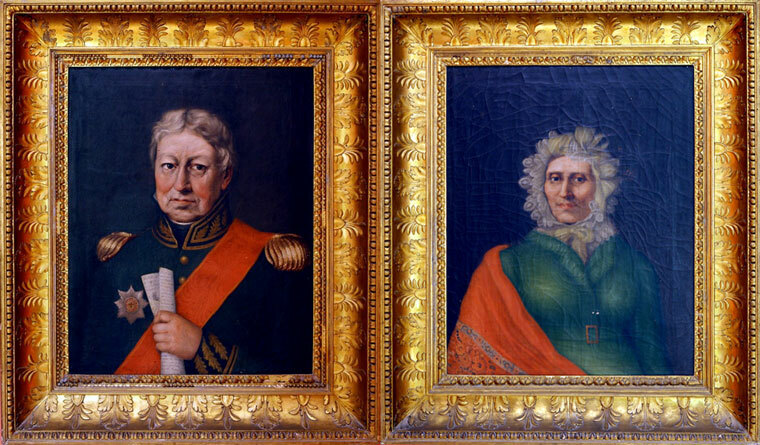 The Russians, leaving Corfu in 1807, proposed he follow them, but he postponed his departure. The French, the new rulers of the island, also proposed a quite tempting cooperation; however, he politely denied. Eventually, in August 1808, I. Kapodistrias, whom Tsar Alexander had in the meanwhile rewarded with the medal of the Knight of the Order of St. Anne, left for St. Petersburg, after an invitation sent by the Russian Minister of Foreign Affairs, Count Romantzof.